Developers feel extremely difficult to develop websites compatible to various web browsers, OS and resolutions. 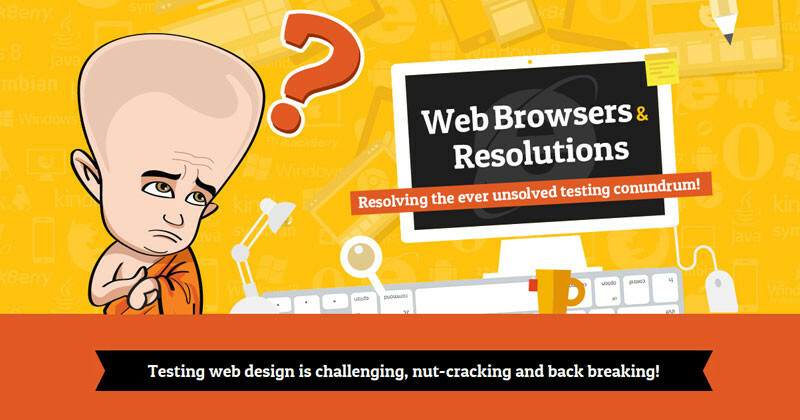 This infographic from our frinds from Webby Monks aims at resolving the ever unsolved website testing conundrum with a 3 dimensional approach, depicting the most popular operating systems for web and mobile, most popular browsers for web and mobile and the top 10 resolutions for January, 2014. This infographic also dives in to checking the importance of mobile compatibility worldwide. Moreover, it gives an exhaustive list of browsers, OS and resolutions worth testing as a takeaway. Scroll down below or check out this infographic in action here.